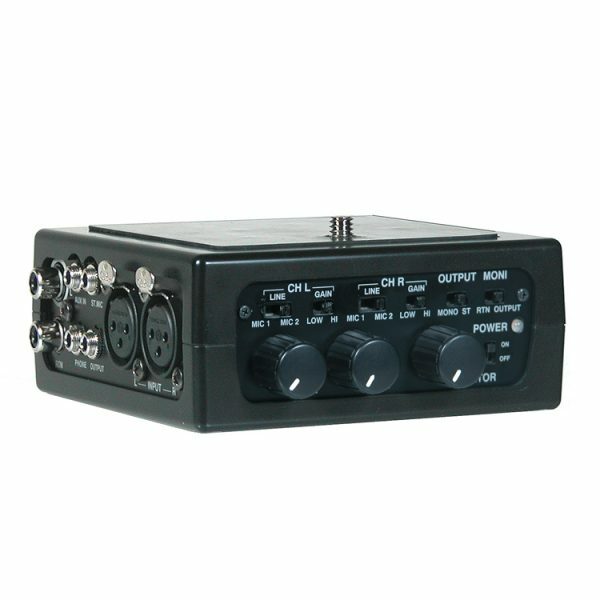 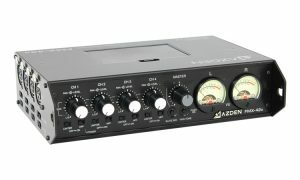 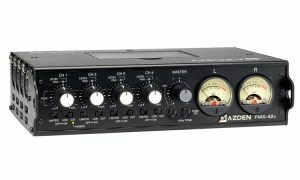 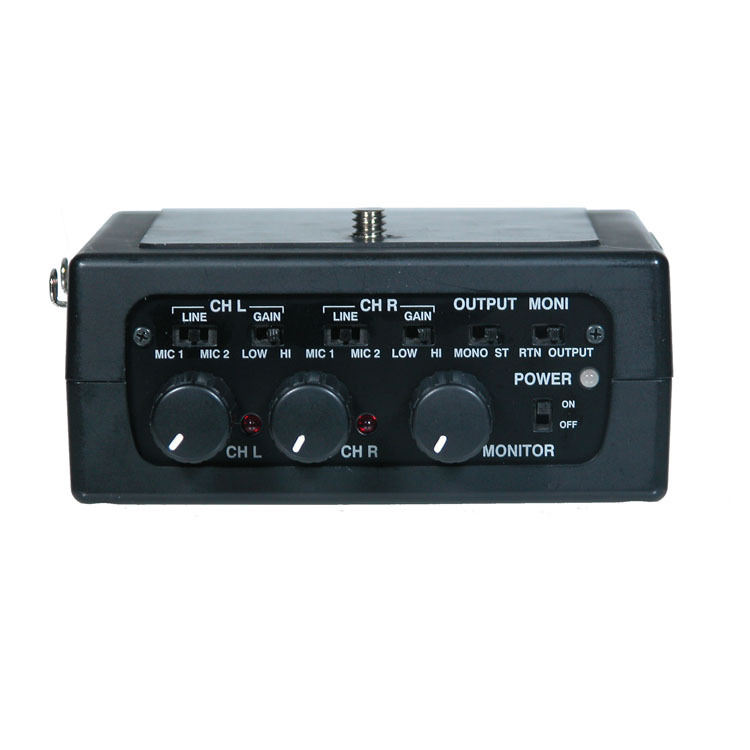 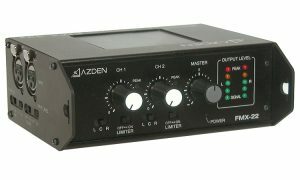 Azden FMX-DSLR is a Professional Low Noise Audio Mixer for DSLR Cameras. 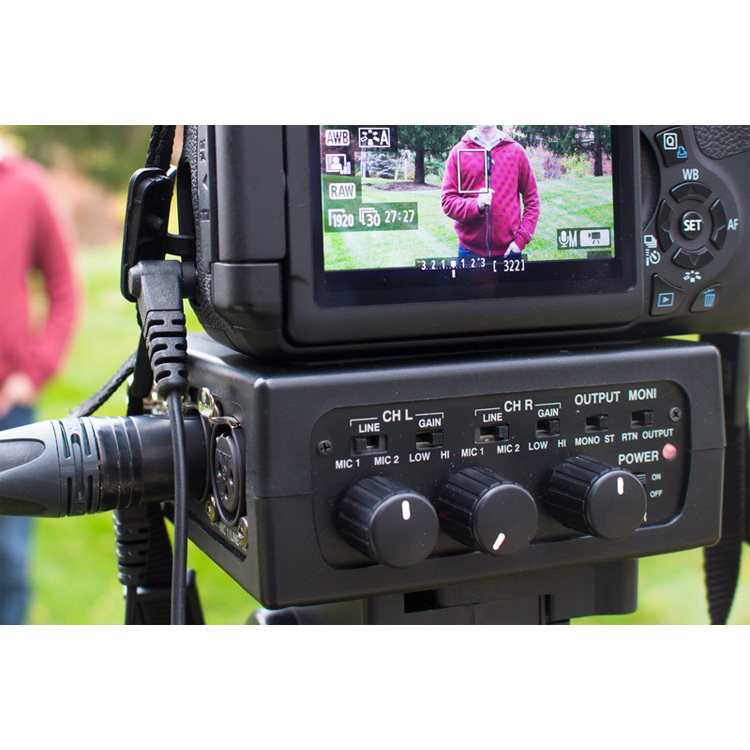 With the same advanced circuitry as our top-of-the-line mixers the FMX-DSLR is designed for the demanding needs of Professional DSLR users. 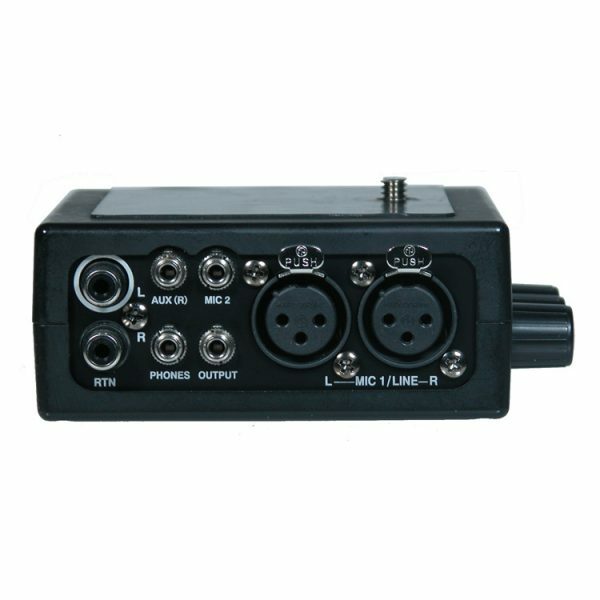 The small, battery operated (4-“AA”) mixer can be attached directly to a camera or tripod with the integral threads. The FMX-DSLR has the following features: AGC switch for noiseless operation, 2 XLR microphone inputs with individual level controls and switchable phantom power, stereo mini jack microphone input, mini jack line level input, stereo mini plug microphone output and headphone output with level control. LED peak level indicators, input return function (RTN) to monitor camera audio and a power switch with power on/low battery LED. 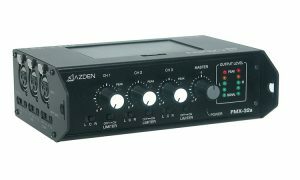 © 2019 AVMB Solutions Pte Ltd. All Rights Reserved.